It is very important that you know and understand your rights as a consumer, whether through Seguros sin Barreras or directly with an insurance company. Be assisted by someone with an insurance license from your state when explaining your coverage to you. Ask for proof of the insurance license of the state where the agency or broker that you're buying your insurance from is located. Know the name and all pertinent information about your insurance company. Ask your representative or broker all the questions you have regarding the policy you're about to buy. Obtain copies of all documents related to the insurance policy you bought through Seguros sin Barreras. Ask for a certificate of temporary coverage the moment you obtain your insurance policy. Know all the charges you will incur in depth. Know all the payment plans offered by the insurance company of your choice. 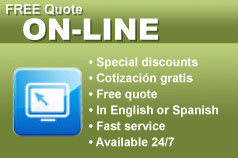 Know all the discounts for which you may qualify, with the insurance company of your choice. Make changes to your policy's coverage when necessary. Ask for proof that your agency or broker transferred your first premium to the insurance company. Call your representative or broker after having bought your policy to guide you through the process. Be assisted with respect and friendliness. Cancel your policy at any point without additional charges. 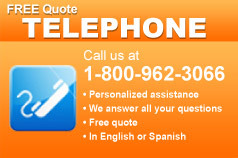 Seguros sin Barreras Insurance Agency, Inc. 6380 Wilshire Blvd. Suite 1400, Los Angeles, CA 90048. Insurance License in all US states. CA Insurance License # 0F19722.